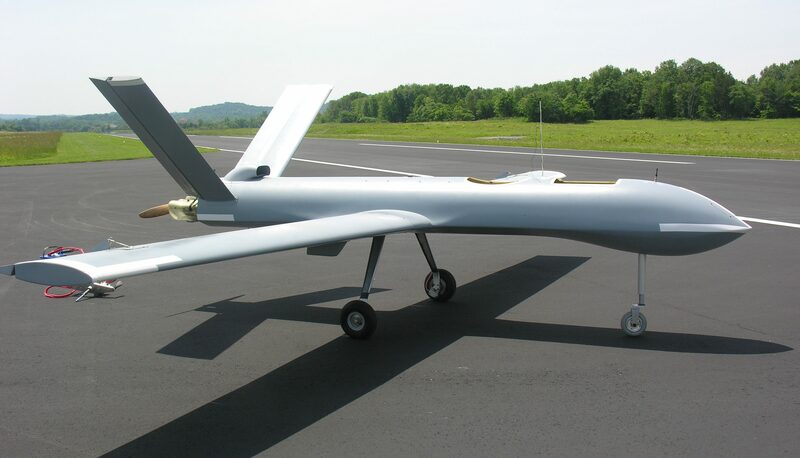 The Broadsword UAS is a much larger derivative of the MQM-170A Outlaw and is currently available for US military operations as the MQM-171A. The Broadsword is a 400-500 lbs. gross weight aircraft in contrast to the Outlaw G1, which is a 120 lbs. gross vehicle. 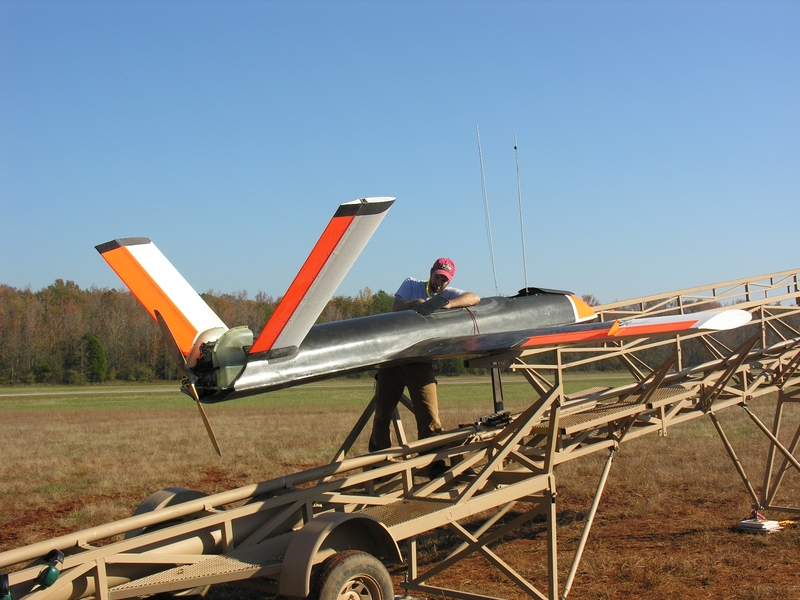 It was developed as a research and test vehicle to evaluate new sensors, payloads, propulsion systems and other UAV components. 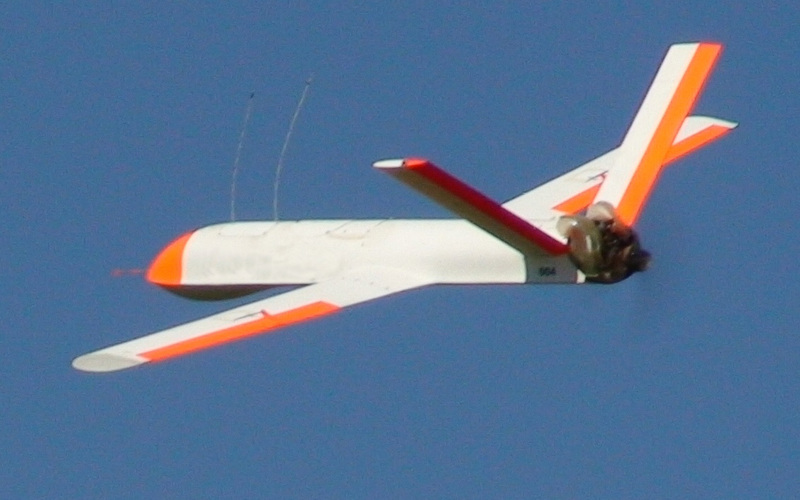 Broadsword is a large capable aircraft ideal for emerging sensor or payload development missions. The Broadsword is very similar in shape and general layout to the Outlaw G1. Like the G1, it is primarily launched from a larger pneumatic launcher and then recovered by skid landing. 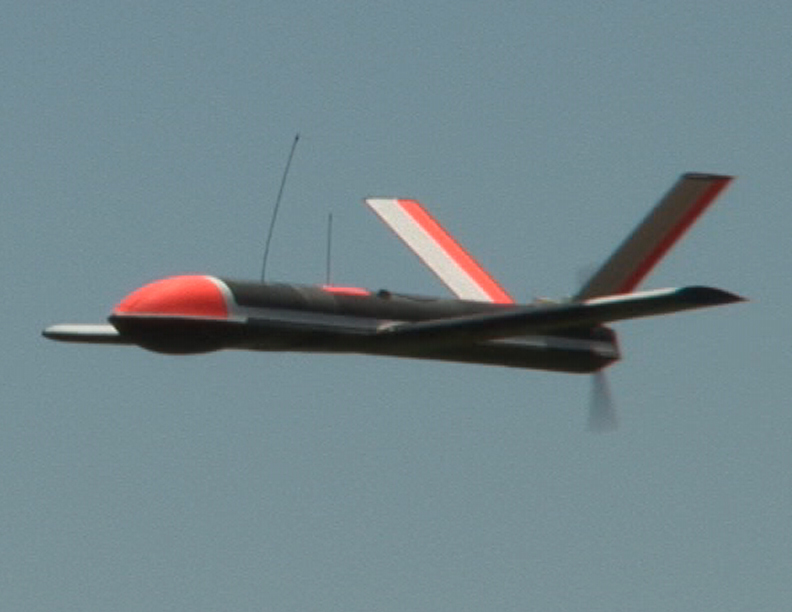 Also like its little brother G1, the Broadsword can be equipped with optional landing gear for sensitive payloads. 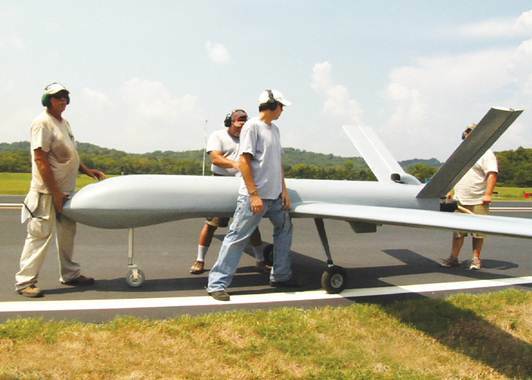 The Broadsword is also used as a test bed for new or upgraded high power propulsion systems. The increased size of the Broadsword allows customers to carry large, heavy payloads that would not have been achievable with the Outlaw G1.